The BenQ WiT is a curved LED lamp designed to illuminate your desk so you can work and read in the evening. On this website, it’s not very typical for us to be reviewing desk lamps or other everyday household gadgets. Typically, our thing is more mobile phones and tablets along with the mobile networks and tariffs behind them. 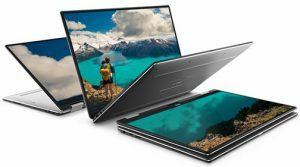 However, as we approach the Christmas giving period, we also wanted to have a look at some other gadgets that can enhance your digital life and that can solve some everyday problems. As someone who spends a lot of time working at a computer, getting the right lighting environment has been a constant challenge for me. During the summer, I’m fairly lucky to get lots of natural light around my working environment. However, as the days get shorter and as we approach the winter, the amount of natural lighting has drastically reduced. Therefore, when BenQ offered me the opportunity to try out their new high-tech desk lamp, I jumped at the opportunity to see whether it could help me out. The average UK consumer now spends more than 9 hours per day in front of a screen. It’s estimated the average UK consumer spends more than 9 hours per day in front of a screen (this includes use of a computer, smartphone, tablet and TV). For office workers who spend much of their working life on a computer, this can even be longer, perhaps even approaching 12 hours of screen use per day. With the increasing amount of time we spend in front of digital devices, it’s important to keep an eye on health and well-being. For instance, this means taking regular breaks, adopting the right posture when sitting and having an ergonomic office desk set-up. One important element of the above is having the right lighting in your workplace environment. Typically, lighting levels of about 300-500 lux are recommended in a working environment, with the brightness, colour and direction of the light also making a substantial difference. 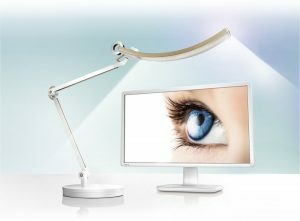 One of the biggest issues can be using a screen or computer monitor in a poorly-lit environment. This is because the contrast between your screen and the surroundings can cause heavy eye-strain, leading to tiredness and a number of other issues. It’s this problem that BenQ is trying to address with their new WiT desk lamp, a clever gadget they describe as the “world’s first lamp designed for e-reading”. Using a computer monitor in a poorly-lit environment will lead to eye-strain and tiredness (left). 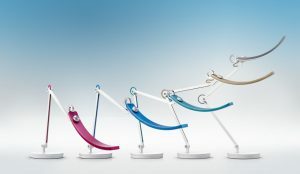 The WiT is available in five colours, and can easily be adjusted for height, position and direction. 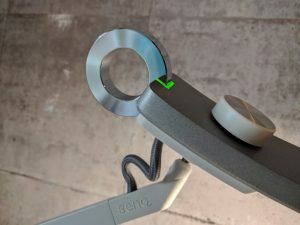 BenQ, the company that manufactures the WiT desk lamp, is normally better known for making PC monitors and white-labelled smartphones (including, most recently, the EE Harrier and EE Harrier Mini). The WiT is BenQ’s first foray into the world of lighting, and aims to apply some of their knowledge and experience from making other digital products. According to BenQ, it’s the “world’s first lamp designed for e-reading” and the range of unique features make it one of the most advanced desk lamps on the market. The lamp will detect the current light level in your environment, and will find the right level of illumination so you can read comfortably on your screen. If you like, you can also override the automatic setting to choose your own custom brightness (up to 1800lux) and colour temperature (between 2700K and 5700K). The lamp is curved so it illuminates more of your desk, and directional lighting reduces glare and reflection from the screen. With a traditional desk lamp, you’ll typically get a narrow cone of harsh light in just one area. As the WiT’s lamp has a unique curved strip geometry, the light can instead be spread a lot more evenly over your desk. The lamp also has automatic directional lighting based on your working environment. For instance, if you place it above your monitor, it will be brighter at the sides and darker in the middle. 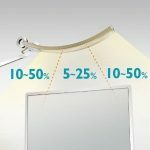 This reduces the amount of reflection and glare from your screen, and ensures the image on the monitor doesn’t get washed out. BenQ calls this their “smile curve” technology. It’s easy to adjust the position and direction of the lamp. The lamp is on an adjustable stand so you can easily move it to have any height between 30cm and 85cm above the surface of your desk. The head of the lamp is also on an adjustable ball-joint so you can tilt it accordingly in a certain direction (e.g. to face away from you so you’re not looking directly into the light). 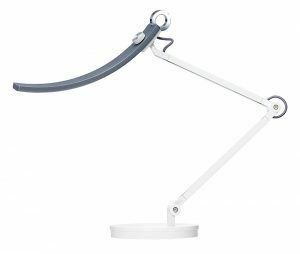 In our opinion, the above features make the WiT one of the most advanced desk lamps on the market. However, at a recommended retail cost of £179, it’s also one of the higher-end devices in terms of price. I received a WiT desk lamp to trial out one week ago. The lamp is available in a choice of five colours (blue, green, red, gold or silver) but I opted to go for the version in silver as I thought it would blend in best with my working environment. The product comes shipped in a fairly hefty box, and upon arrival I was fairly surprised just how heavy it was. Upon opening the box, you’ll find the base unit and the lamp & stand, along with a variety of other plugs, cables and documents. It rapidly becomes obvious that most of the weight is due to the stand, and this is so the lamp remains stable even when fully extended in one direction (according to BenQ, the product weighs 4.7kg in total). The BenQ WiT arrives in this (surprisingly heavy!) box. Setting up the lamp is fairly straightforward, and took me around 5 minutes in total. The base unit simply needs to be attached to the stand/lamp (you’ll need a small screwdriver to tighten the screw and to attach the two parts of the lamp). When the WiT is delivered, you’ll get an included desk stand that allows to easily position the lamp next to your screen. However, if space is at an absolute premium on your desk, it’s also possible to buy a desk clamp at an extra cost of £22.50. Alternatively, a floor stand is also available for £67.50 which is handy if you want to use it elsewhere (e.g. without a desk). For most working environments, the included desk stand is probably all you need and gives you the required flexibility in terms of position and angle. The base unit attached to the stand/lamp and placed next to my computer monitor. Once you’ve set up the lamp, it’s worth spending a little bit of time to optimise the position of the lamp (this is so you’ll get the optimum illumination and lighting for your environment). There’s a small manual included with the lamp showing you how to do this but in short: the head of the lamp should be placed above and in front of your screen and the centre of the lamp should be aligned with the centre of your monitor. This is to ensure you’ll get equal lighting in all directions around your monitor. You should also turn the head of the lamp so it’s tilted away from you (this is to ensure you’re not looking directly into the light). The lamp is controlled through the touch-sensitive ring and dial. Using the lamp itself is fairly simple. You can switch it on and off by tapping the touch-sensitive ring. Holding down on the ring for two seconds will switch between automatic “eye-care” mode and manual control mode (personally I just leave it in automatic mode so it controls the lighting level for me). In manual control mode, you can use the dial to change the brightness of the light as well as the colour. This is done by turning the dial, with a press of the dial changing between the two settings. In manual control mode, you can adjust the brightness to whatever is required by the task, and you can change the colour of the light to make it warmer or cooler. The BenQ WiT is a high-end solution, retailing at £179 RRP. It’s therefore mainly suited to people who spend a lot of time in front of the screen. So after a week of trialling out the WiT desk lamp, what’s the verdict? In general, I think this is a fantastic lamp and I’ve found it incredibly helpful reducing eye-strain when I’m working in the evenings. The lamp is both solid and sturdy, whilst also being really versatile and easy to both set-up and use. With a recommended retail price of £179, this is possibly one of the most expensive lamps available anywhere on the market. It’s about 10 times more expensive compared to a traditional desk lamp, but is undoubtedly a far better product. In my opinion, if you spend a lot of time in front of a screen, it’s worth paying a little bit extra to get the best product for your eyes and their health. According to BenQ, the LED lamp has an expected lifespan of 50,000 hours (equivalent to 8 hours per day, every day for 17 years). For some people, this makes it a fantastic investment for the long-term, if it’s a product you’ll use regularly and get a lot of value from. Meanwhile, if it’s something you’ll seldom use, the chances are you can get by with a cheaper alternative that costs just a fraction as much. 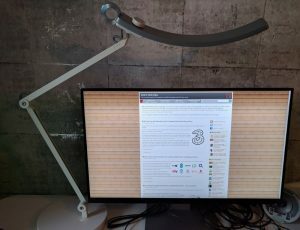 Personally, I’ve really enjoyed using the WiT desk lamp, and would recommend it to anyone looking for a high-end desk lamp solution. 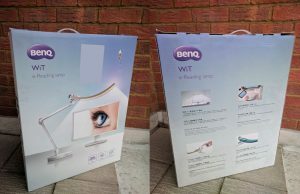 For more information about the BenQ WiT desk lamp, see the product listing on Amazon or BenQ’s official website.